The Work the Land Internship program is a two-month course designed to take interns through a practical working experience of ecological/sustainable living. The internship’s primary focus is to catalyze a process of learning, communication, and rewarding work, which benefits its participants, the environment and the farm community. This process will provide you with the basic practices and foundations for sustainable and ecological living. We want to give you the proper tools and techniques so you can apply your knowledge in your own community, home, or local farm. Through working and living on the farm, interns are integrated into the farm’s social and cultural life. 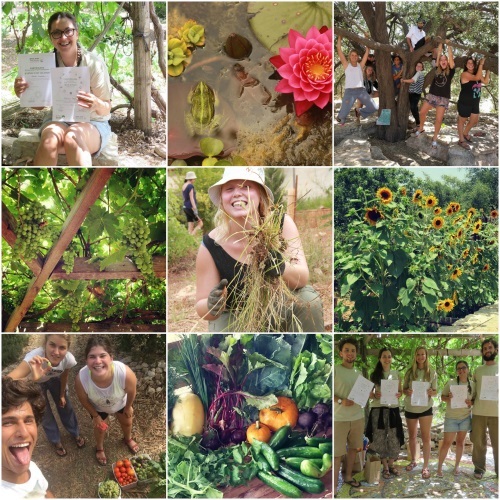 The farm community is composed of four primary groups: 1) Israelis doing National Service, 2) Israelis doing Year of Service, 3) International participants on the Masa Eco-Israel Program, and 4) Farm coordinators. This Onward Israel program is operated through a partnership between Onward Israel and the Hava and Adam Ecological Educational Farm. Applications will close on June 1, 2019 or earlier if the program fills. Admission is rolling. This program is exclusive and open for maximum of 30 participants. Participants will be required to submit a $500 non-refundable registration fee. The program includes full accommodations, 3 meals a day, studies and medical insurance. All participants are responsible for cost of and arranging their own flights. Sleeping in a Dome/Yurt with 2-4 other people. The farm is vegetarian and all residents share the kitchen duties. Through working and living on the farm, interns are integrated into the farm’s social and cultural life. The farm community is composed of four primary groups: 1) Israelis doing National Service, 2) Israelis doing Year of Service, 3) International participants on the Eco-Israel Program, and 4) Farm coordinators. This program is open to people from 19 – 27 years old. The program is designed to take interns through a practical working experience of ecological/sustainable living. Eligible participants have NOT spent 3 or more months in Israel as part of an educational or peer-program (this includes semester abroad, gap year or any other MASA or Onward Israel program). 3 days a week dedicated to working. 2 days a week dedicated to theoretical lessons and guided work.